Everyone writing about public policy issues knows that personal examples are more persuasive than dry numbers and broad talk about economic impacts. Yet there’s a real danger to allowing these personal stories to dominate conversations about policy. After all, stories pack a powerful emotional punch, but they tend to leave out and even obscure the larger impact of any policy change. Take Jessica Shorthall’s recent article in The Atlantic, entitled “Life in the Only Industrialized Country Without Paid Maternity Leave.” Shorthall focuses on one woman, Tara, who is pregnant with her second child and must have a C-section. Tara’s husband suffers from a painful medical condition rendering him unable to work. Tara’s employer doesn’t offer maternity leave. By hoarding her paid vacation benefits, Tara has amassed enough leave time so she will have 20 days between delivering her baby and reporting back to her job. She didn’t explore the possibility of unpaid leave with her employer: Her family’s financial situation is so precarious, she explains, she can’t miss one paycheck. Tara’s situation is undoubtedly very tough, and one naturally feels great sympathy for a mother who wants to spend time physically recovering from major surgery as well as bonding with her newborn. Yet, while the article contains a great deal of personal information in the countdown to the end of her maternity leave—even a close up of her still swollen belly, just two-weeks post-partum—it leaves out, and even obscures, a lot of information that readers need to have a real understanding of the benefits and costs of a federal paid leave program. For example, it would be helpful to know if Tara was aware of her employer’s leave policy when she accepted the job. Did she consider seeking out other job opportunities at companies with more generous benefits? Most likely, Tara did consider other potential job paths, and decided that this position offered the best overall situation. Perhaps other jobs offered more benefits, but had lower pay, and Tara, understandably, wanted a higher salary to support her family. Readers are invited to assume that a government policy that guaranteed that Tara would have more paid leave time wouldn’t affect other aspects of her employment contract: Tara would have the same job, at the same pay, just with an extra six weeks or so of paid time off. Yet that’s not how such mandates work in practice. As employment costs grow, take-home pay and job opportunities contract, and women are most affected by lost wages and job opportunities. Paid leave mandate proponents glibly applaud the generous family benefits in places like the EU, but ignore studies that show such policies succeeded at boosting the EU’s female labor force participation rate, but mostly by increasing the women working part-time and in lower paid positions. When Chile passed a law requiring employers to provide childcare, economists found that the women hired after the mandate took effect made between 9 and 20 percent less than female workers hired before the new law. When Spain required companies to provide working parents the option of reduced hours—another provision undoubtedly meant to help women balance work and family—women, particularly with those with lower-incomes, were more likely than their male colleagues to lose their jobs, less likely to be promoted, and had reduced wages. Overall, European women are far less likelythan their American counterparts to be in managerial positions. In other words, if Tara really couldn’t afford to miss one paycheck to take additional unpaid time off, then she probably wouldn’t have been able to make ends meet at all under a system with a paid leave mandate, since her salary would have almost certainly been lower. This fact, tucked at the end of the story, speaks to another reality often lost in discussion about paid leave: Most employers aren’t ogres cracking whips at new mothers to force them back into the chain gang. Most managers (a majority of whom are women in America today) want to ease the transition back to work for new moms, but must also balance their responsibilities to other workers, customers, and the business as a whole. The statistics Shorthall uses to set up the personal story also paint a distorted picture. She writes: “When it comes to a new baby or a sick family member, 88 percent of the American workforce has no access to paid leave.” Yet most full-time workers do have access to paid leave for those needs, it just isn’t a specifically a “family leave” benefit. The Bureau of Labor Statistics National Compensation Survey shows that 75 percent of civilian full-time workers have paid sick leave, 74 percent have paid personal leave, 65 percent have paid vacation, 13 percent have paid family leave, and 88 percent have unpaid family leave. The Census Bureau found that after having their first child, 56 percent of full-time working mothers used paid leave, 42 percent used unpaid leave, 10 percent used disability leave, 19 percent quit their job, while nearly 5 percent reported being let go (the number totals more than 100 percent because women often used more than one type of leave). Certainly, these statistics suggest that there are plenty of women who could use more paid leave time, but it’s a very different picture than Shorthall’s suggestion that 9 out of 10 women lack leave benefits entirely. 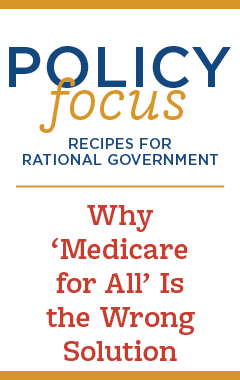 Public policy debates are usually about tradeoffs. Perhaps Tara would be better off with a government entitlement program providing three months of paid leave after the birth of a child. But maybe not. Maybe then The Atlantic would be telling her story as an example of a woman who desperately needs to earn more money to support her family, but can’t since the cost of benefits are eating away at her take home pay. Perhaps the next issue would feature an equally sympathetic infertile woman who desperately wishes she had children and is frustrated and resentful that her peers get to have babies and disappear from the office for three-months stretches, while her job prospects suffer because the employer assume she might be next. All of these stories are legitimate, but they don’t tell us much about the ideal public policy solutions. That requires a lot more focus on facts and tradeoffs, and fewer images of one woman’s postpartum stomach.